A lot of skin care products can set you back mega bucks, but there is one cheap alternative to having amazing skin without the high costs. 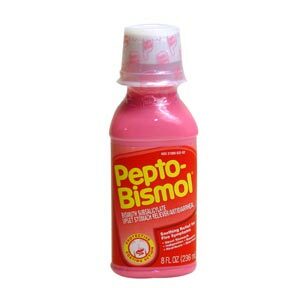 One of the best kept secrets is pepto-bismol! You will have an amazing pink glow to your face and your skin will be instantly tightened, all within 15 minutes! Pepto-bismol contains salicylic acid which is not only great for acne, but it is also great for washing away dead skin cells. It keep your complexion looking young and firm. Even though pepto-bismol has been on the market for many years, not alot of people know that is a wonderful face masque. You are probably the first one among your friends to even hear about it! Here's how to apply it. Apply it with a brush all over your face/neck and wait 15 minutes. After 15 minutes, gently wipe off with warm water. Repeat once a week for an amazingly lasting glow or everyday for a week to get rid of acne blemishes.